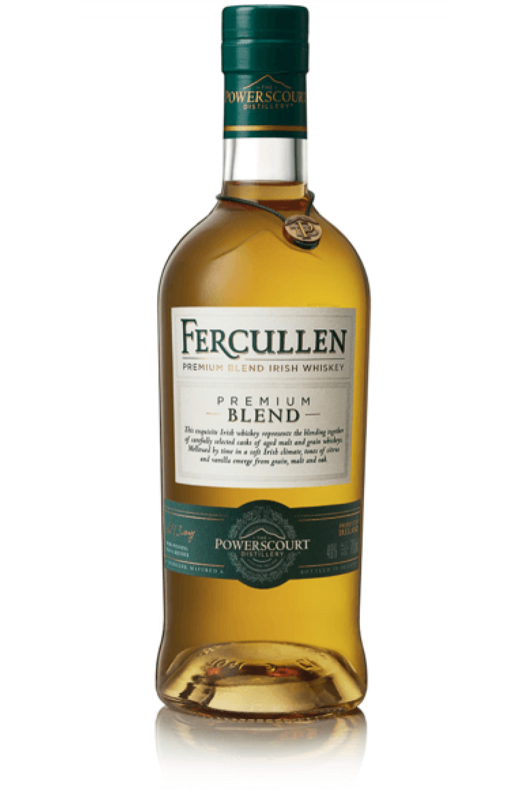 One of the three first expressions to be released under the brand name Fercullen from the Powerscourt Distillery in Co.Wicklow. Malt and grain whiskeys have been blended to create the Fercullen Premium Blend, before being left to age in seasoned oak. Resulting in a well rounded whiskey with notes of toasted oak and caramel. Aromas (without water) Sweet vanilla, citrus, honey, spice, almonds, candy orange peel, oak. Palate (without water) Smooth, crisp, grain, combinations of malt, caramel, fruit, and sweetness. The Fercullen 10 Year Old Single Grain has been matured exclusively aged in carefully selected&..